Tom Hunt is an award-winning chef, food writer, food waste campaigner, author of The Natural Cook and ambassador for Fairtrade and the Soil Association. Tom prioritises people and the environment within his work and believes in a fair global food system where our actions benefit community, biodiversity and wildlife. 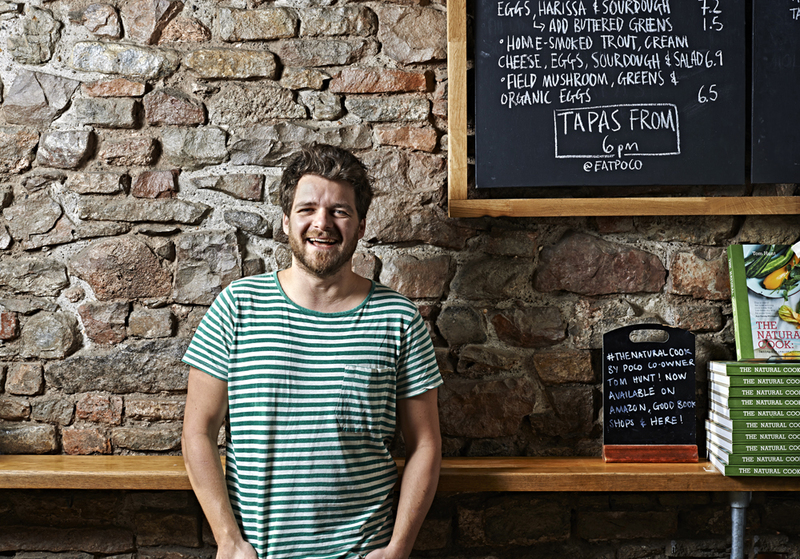 Tom founded his festival cafe Poco in 2004 which has now grown into a tapas restaurant. In its opening year Poco was awarded most sustainable restaurant of the year at the Food Made Good Awards. Poco follows Tom’s Root to Fruit Eating philosophy, is 100% seasonal, and 95% waste free, recycling and composting everything. He also runs Forgotten Feast – a campaign promoting sustainable food through dining and celebration. Forgotten Feast creates banquets with food waste and/or topical ingredients. Working closely with charitable organisations including Slow Food, FareShare and Action Against Hunger, highlighting important concerns in the food industry. Tom now spends most of his time in London food writing for magazines and newspapers such as The Guardian, Telegraph, Independent, Olive Magazine, Vegetarian Living, Jamie Oliver Magazine and many others. Tom is currently writing his second cookbook, a theoretical and practical guide to sustainable food, based on his Root to Fruit Eating philosophy – an holistic approach to food and eating which supports the health of ourselves our planet and population.